A bullish equity market is generally followed by a flurry of initial public offerings (IPOs) and participation of retail investors. 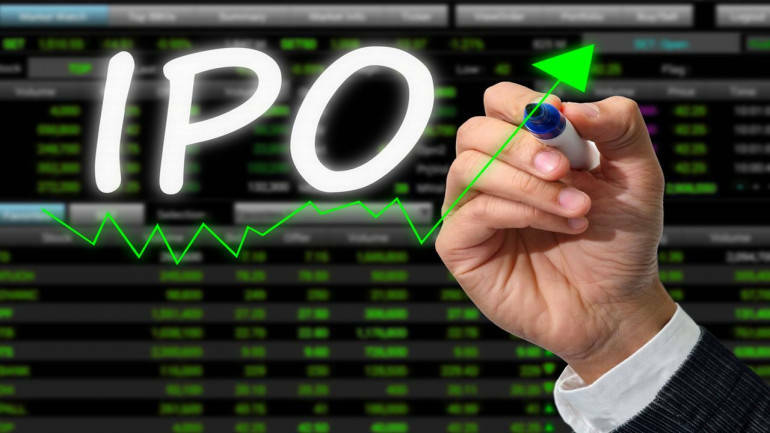 Most of the IPOs which hit D-Street in September got oversubscribed multiple times. The Indian secondary market rose over 20 percent so far in the year 2017. But there is plenty of action in the primary market as well which is far from over, as analysts expect over billion dollars coming in the next 12-15 months. So far in 2017, more than 20 IPOs have hit the D-Street cumulatively raising over Rs 29,000 crore, causing concern about the quality of IPOs hitting the market. 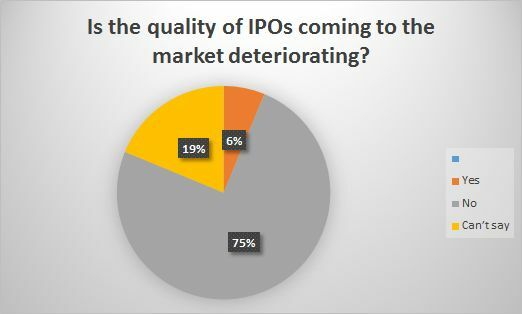 A poll conducted by Moneycontrol showed 75 percent of the respondents felt the quality of IPOs hitting D-Street as being good but valuations likely a tad expensive. The balance 25 percent chose not to respond. A large part of the rally in the Indian market is driven by domestic liquidity as everyone chases good investments. With most of the quality stocks trading at valuations which might be slightly more than their long-term averages, the primary market becomes next best choice for return-hungry investors. The domestic institutional investors (DIIs) have poured in over Rs 40,000 crore in Indian equity markets while foreign portfolio investors (FPIs) poured a little over Rs 7,000 crore so far in 2017, as per provisional data. “There is a lot of domestic liquidity that has come in which I have not seen in my 42 years or at least more relevant from the 90s when we really privatised the mutual fund industry -- there is this wall of liquidity coming in,” Kalpana Morparia, CEO-South and South East Asia, JPMorgan said in an interview with CNBC-TV18. “Everyone is chasing good investment thesis to investing. I am hoping that we are probably seeing the first weak signs of a private investment cycle pickup. As you see that accelerate, I am hoping that we will see a lot more primary issuances coming up in 2018,” she said. She added the IPO pipeline has been good, but it has not been great. I would see many more billion plus dollar kind of capital raising coming in over the next 12-15 months which should bode well for all the liquidity that we are seeing. Riding on the liquidity boom, companies have lined up their plans to raise money from the primary market. A recent media reports suggest, more than 150 companies have expressed their intent to raise capital amounting to an estimated 2.5 lakh crore by way of initial public offerings (IPO), the data collated from Prime Database. Considering historical valuations, IPOs look expensive, however considering future potential they seem justified, Anita Gandhi, Whole Time Director at Arihant Capital Markets told Moneycontrol. A bullish equity market is generally followed by a flurry of initial public offerings (IPO) and participation of retail investors. Most of the IPO which hit D-Street in September got oversubscribed multiple times. “Yes, we can see euphoria in the primary market. Historically, whenever the market is strong and bullish like we are seeing right now, IPOs do well. This is evident from the response to Dixon Technologies (India) Limited, Apex Frozen Foods, Salasar Technology, AU Small Finance Bank to name a few,” DK Aggarwal, Chairman and Managing Director, SMC Investments, and Advisors. “We are bullish that the domestic stock market will continue to move ahead on the expectation of continued strong participation from retail investors. And inflow of liquidity from across the globe will continue to support the domestic market to push the index higher, besides other improved macroeconomic data,” he said. Most of the IPOs listed in the year 2017 have done well and as many as nine stocks have outperformed Nifty by a wide margin. Four stocks have more than doubled investors’ wealth so far in the year 2017 which include names like Avenue Supermart, Shankara Building Products, Salasar Techno Engineering, and CDSL. As many as six stocks rose more than 50-100 percent which includes names like Apex Frozen, PSP Projects, HUDCO, Dixon Technologies, and AU Small Finance.